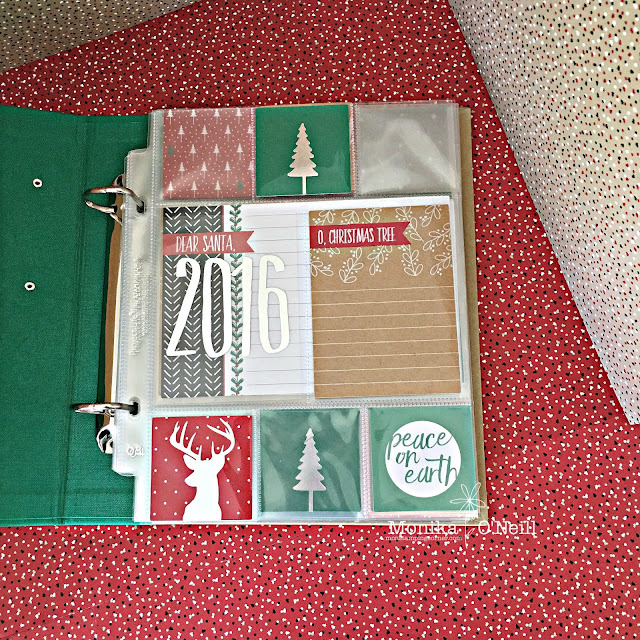 monstampingcorner: AWH It's Beginning to Look a lot like Christmas Blog Hop!!! AWH It's Beginning to Look a lot like Christmas Blog Hop!!! 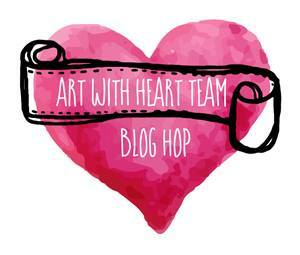 Today some of the Art with Heart Stampin'Up! team girls have created some amazing Christmas projects to inspire you with the theme, It's beginning to look a lot like Christmas! 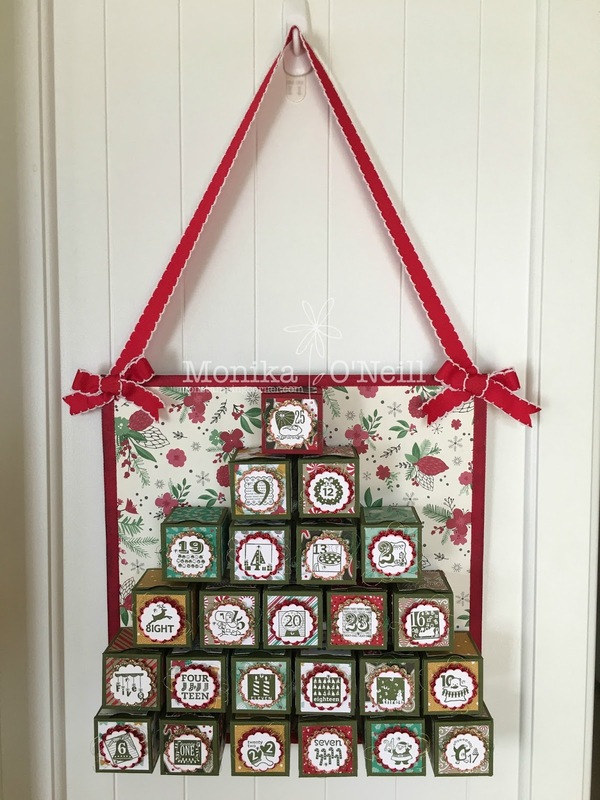 We have tags, gift bags, teacher gift ideas, decorations and many more fun projects to create this holiday season. 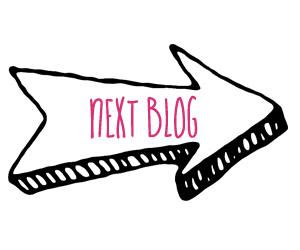 You have come from the lovely, Mary kelly Blogs are full circles, so you can start hopping here and then at the end of each post is a link to the next. There is also a list of participants at the end in case of any broken links. 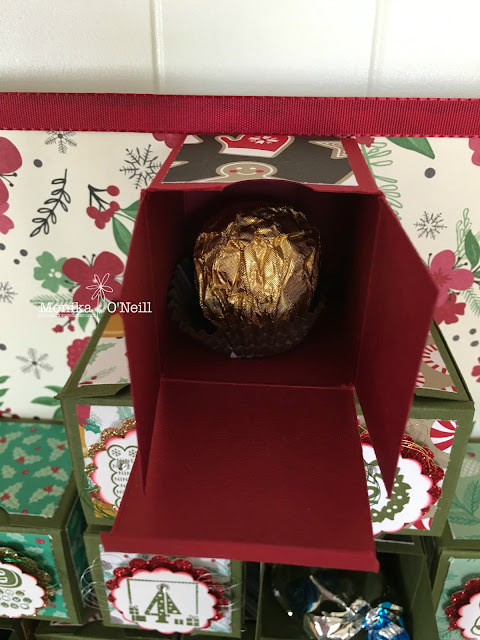 For the first project I have made an Advent Calendar filled with some yummy chocolates. For the Advent Calendar I made 1 x 1 inch boxes and covered them in The presents and Pinecone DSP, for the backing board I glued 3 cardboard sheets together that come in your DSP packs and used tombow glue and then covered the front with a sheet of DPS from This Christmas Designer Series Specialty Paper from the Annual Catalogue. use any colour card stock that takes your fancy. 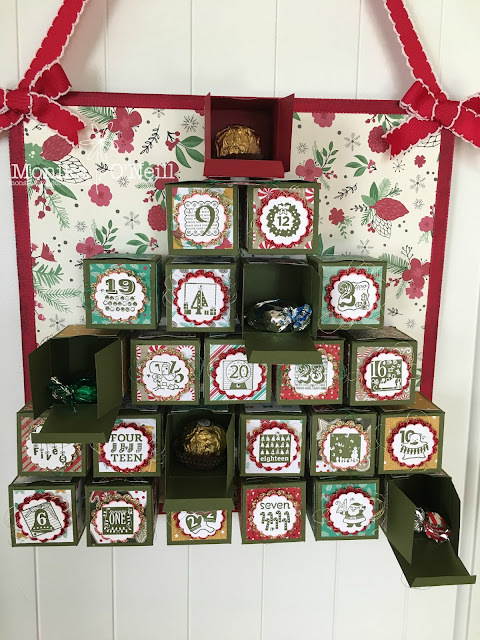 I did use a retired stamp set for the numbers 1-25 as they fit the small size boxes I made. Behind the stamped images I used the Metallic Thread combo Pack and around the border I used the red ribbon from Silky Taffeta Combo Pack and the Real Red Stitched Ribbon to hang the calendar and bows on each side. 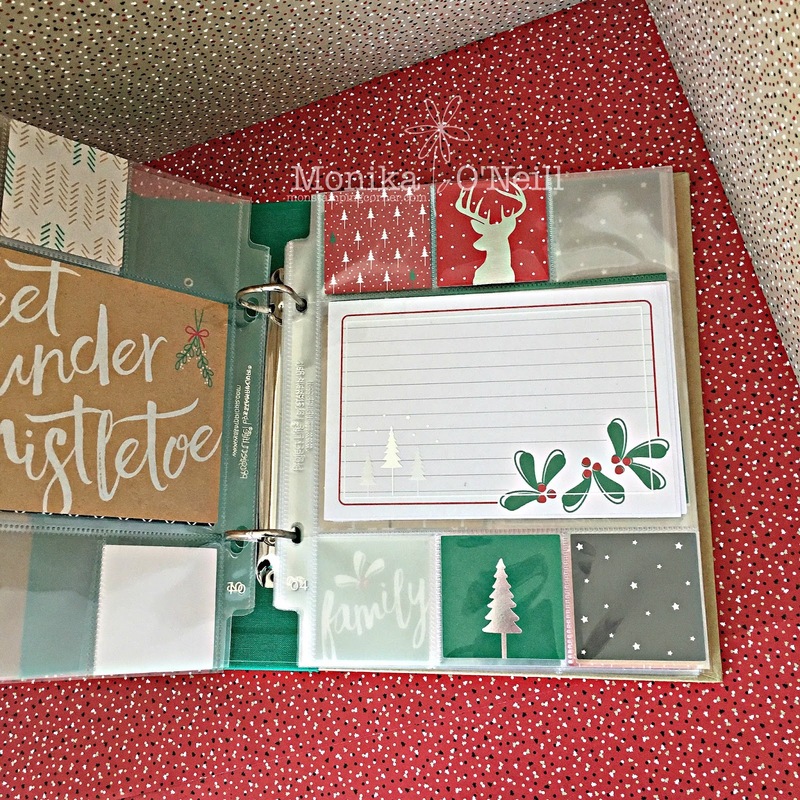 For my second item I decorated the Emerald Envy Project Life Album, I used the Assorted Inserts and Hello December 2016 Project Life card collection. 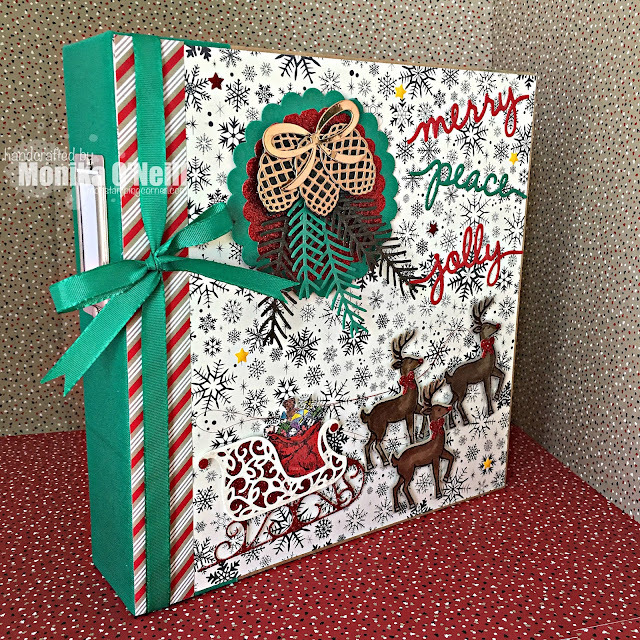 the Green ribbon is from the Silky Taffeta Combo Pack on the side with bow, the snowflake DSP is from This Christmas Designer Series Specialty Paper from the Annual Catalogue. The top Die's are from the Christmas Pines Bundle, the leaves are Emerald Envy and Chocolate Chip and for top of pinecones and bow I used the Coper foil Sheets the bottom Dies are from the Santa's Sleigh Bundle and lastly I used the Christmas Greeting Thinlets. And lastly I made a set of 6 Christmas tags using the Cookie Cutter Christmas Bundle. Just love your advent calendar Monika, it is gorgeous and the ribbon bows set it off beautifully. It's such a lovely advent calendar! 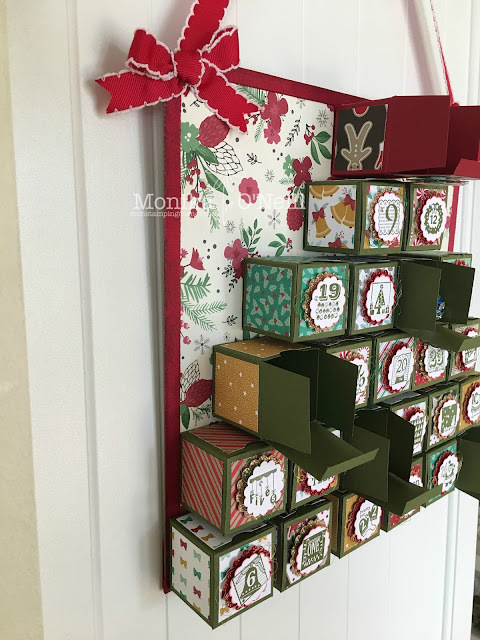 Your advent calendar is wonderful! I love the tags too - the little holder is fabulous. Fabulous projects, Monika! 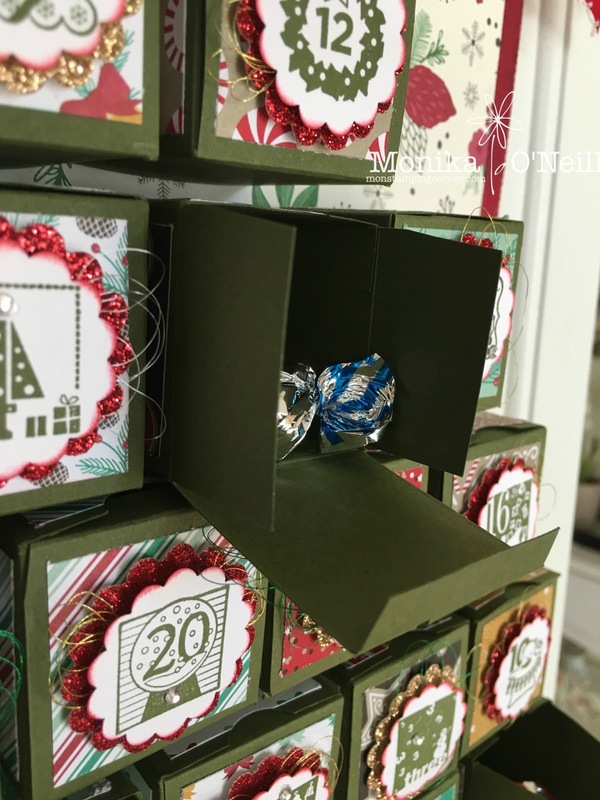 Your advent calendar looks amazing. Great job! That looks beautiful! Love your advent calendar. A labour of love. You have put so much work into these projects - all beautiful! Thank you so much Nanette for your lovely comment I really appreciate you taking the time. The cover of your project life album is just GORGEOUS! Thanks for sharing! Thank you so much Christyne for your lovely comment, I really apprecite it. I am so pleased that you like my Album, it was fun to do makes it more interesting, and more than happy to share.